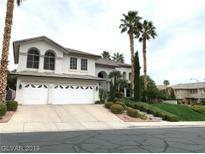 Below you can view all the homes for sale in the Masters subdivision located in Henderson Nevada. 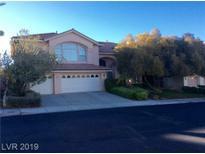 Listings in Masters are updated daily from data we receive from the Las Vegas multiple listing service. To learn more about any of these homes or to receive custom notifications when a new property is listed for sale in Masters, give us a call at 702-323-5903. Upstairs Master Bedroom and a Family/Media Room, 3 Car Garage MLS#2089520. BHHS Nevada Properties. This is a large property with 5 bedrooms, 3 car garage, separate living and family rooms, large formal dining, huge back yard with covered patio, master retreat spacious gourmet kitchen with built in fridge island, granite counter tops, this is a must see !! ! MLS#2085547. LIFE Realty District. Sparkling pool & spa perfect for entertaining! MLS#2083544. Coldwell Banker Premier. Close to HWY 215, The Legacy Golf Course, Galleria Mall, Green Valley Casino and Resort and several parks. OPEN HOUSE 04/13 & 04/14 12:30p-4:30p. MLS#2075798. BHHS Nevada Properties. *rare Cristopher Home Design*2 Story*guard Gated Community*elegant Staircase In Entry*vaulted Ceilings*crown Molding*shutters*tile & Wood Laminate Floors*fireplace With Mantel*granite Counters In Kitchen W/ Island & Breakfast Bar*custom Wine Closet*spacious Rooms*jack & Jill Bathroom*french Doors To Master Suite W/ Sitting Area*large Garden Tub In Master Bathroom W/ Double Sinks & Glass Shower*sparkling Pool & Spa In Back*built-in Bbq* MLS#2067485. Keller Williams Market Place. Spacious Kitchen With Large Island, Granite Counter Tops, Second Master Downstairs, Beautiful Pool And Spa With Waterfall, Sweeping Staircase To Second Floor, Five Bedrooms, Five Bathrooms, Ceiling Fans, Plantation Shutters, Entertainers Delight! MLS#2065931. Simply Vegas. Master suite w/ backyard access, fireplace, and custom built-ins in closet. Secluded yard w/ built-in BBQ. MLS#2045583. Purplebricks Inc.
******_owner Paid $765,000 And Added Over $100,000 In Upgrades*******_guard Gated Golf Course Community Only $125 Monthly* Travertine & Hardwood Flooring*marble Shower Surrounds*all Countertops Are Marble*gorgeous Kitchen With Granite Countertops & Stainless Steel Appliances*beautiful Heated Pool & Spa*3 Zoned Ac Units*bedroom Suite Downstairs*priced 25k Under Last Sold Comps! MLS#2043156. Keller Williams Southern Nevada.